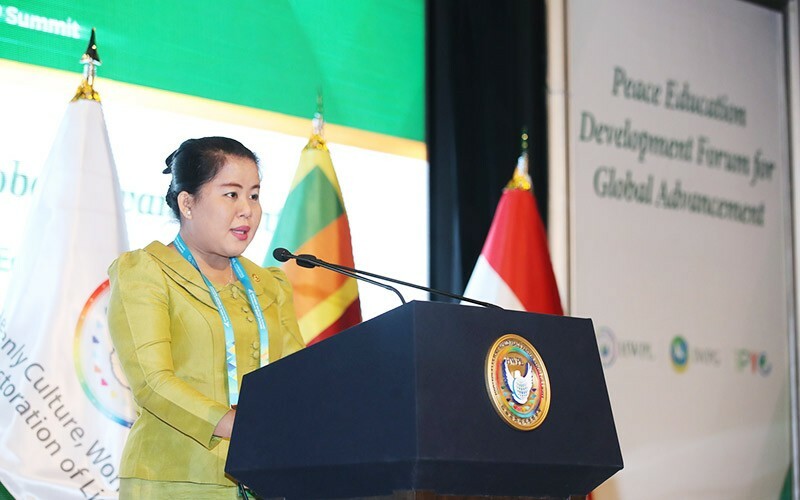 Over 1,000 social leaders gathered in Cambodia to discuss ways to make peace in Southeast Asia, according to HWPL 30th World Peace Tour. 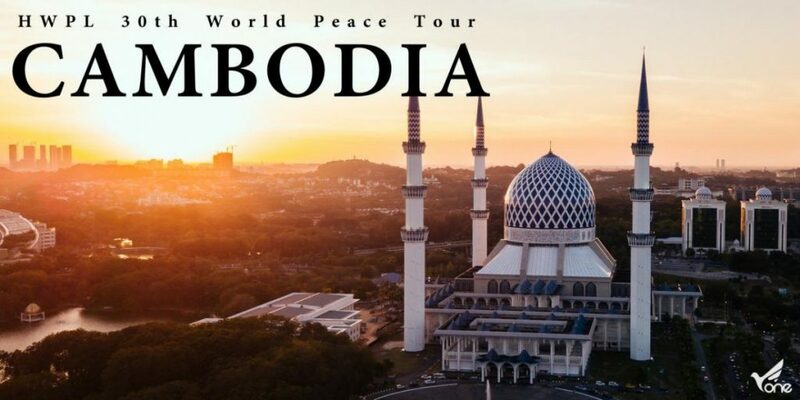 The ‘Peace Message for the Implementation of Peaceful Religions’ was held in Phnom Penh to develop peace-building measures for Cambodian Peace Process. The event also considered Southeast Asian efforts for decades to tackle violent extremism including terrorism and internal conflicts. 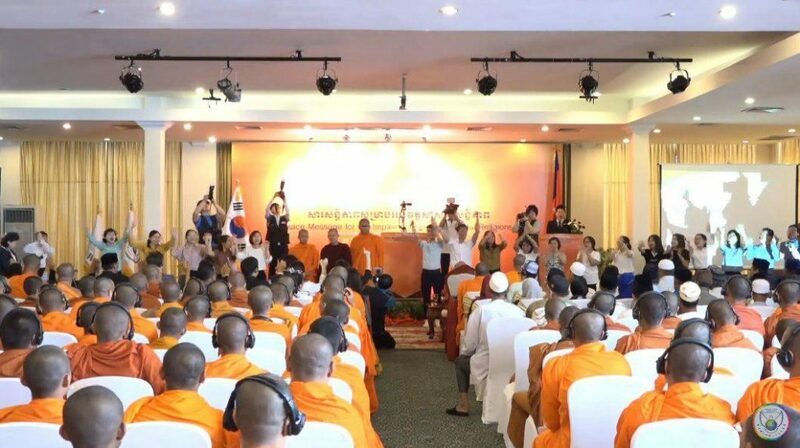 About 450 participants including religious leaders from Buddhism, Islam and Christianity in Cambodia, South Korea, Thailand, Vietnam, India and Singapore joined the forum. 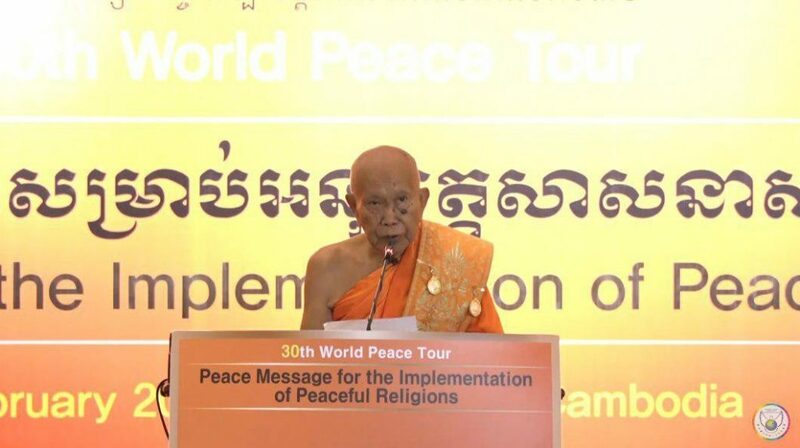 Cambodian supreme monk Tep Vong expressed his support to peace efforts saying that international cooperation as championed by HWPL could end wars and conflicts. Now I’m writing the lower part of the following posting. Professor Surya Subedi of Nepal emphasized that signing of the Agreements has brought “enormous dividends” to all Cambodians. This is really a huge one. Now they can grow and develop. This is because the culture of peace has been established. What is the situation around the world? War is still going on, and countless people are suffering. To them, death is too near, and precious people are easily lost. Who can handle their pain? Who can sympathize with their pain? Writing this, I would like to ask the King of Cambodia, Prime Minister, President of the Senate, President of the National Assembly and all Cambodians to support the DPCW. Because you have already experienced peace! You know what the power of a piece of paper is. Haven’t you experienced a lot of the pain of war? If you really love peace, please support DPCW. Or come up with an new answer to peace. Stay still is because you want a war and are waiting for it. Please try to help people all over the world experience a culture of peace. DPCW can change the world. There are two paths in front of us. “Peaceful Future” or “Endless War” Let’s leave peace as a legacy to future generations. 1.6 bn Youth and 3.7 bn Women support the DPCW! Already, UN permanent representatives of 145 countries recognize the need for the DPCW. In 2017, the central american parliament passed a resolution in support of the DPCW. 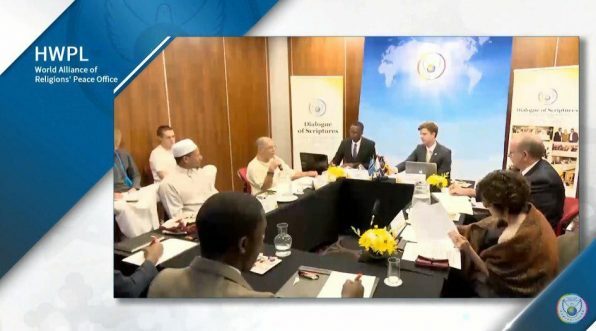 In Africa, HWPL and the Pan-African Parliament (PAP) signed MOU to support the DPCW. The PAP is the legislative body of the African Union consisting of 55 countries of the continent of Africa. This means the support of the entire continent of Africa. Not at all, Seychelles, Eswatini, and Comoros expressed support for the DPCW at the NATIONAL LEVEL. Now only your choice remains. What is your choice? During the HWPL World Peace Tour, there were often people who recognized at a glance that Chairman Man Hee Lee was the messenger of peace. Let me tell you the story of those who came to see the light. 1. During the HWPL 9th World Peace Tour in April 2014, the Chairman Lee and Peace Mission stepped off the plane to pick up their luggage, and a couple came and told them to take a picture of him. When asked “why?”, they said “I saw a big light on you, so I wanted to celebrate it because it’s mysterious.” The couple were religious leaders who led 300 churches in Mexico. 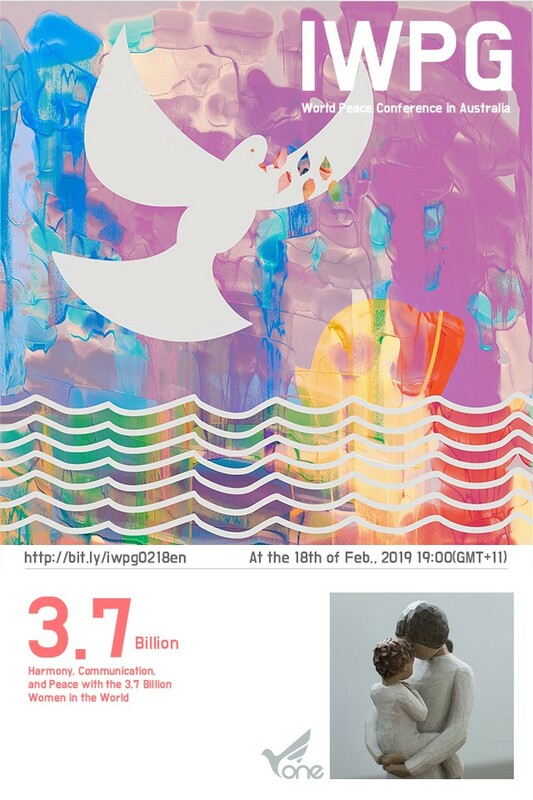 The couple is currently working as HWPL ambassadors, currently, 556 HWPL ambassadors are working for peace, which also affected the spreading the culture of peace in Mexico. 2. During the HWPL 9th World Peace Tour, Brazilian lawyers and doctors came to take pictures with the Chairman Man Hee Lee. They first saw him at a seminar two days ago, and he was seen as a light among many religious leaders. They said “Two days ago, you appeared to be a light in the middle of religious leaders at the seminar. 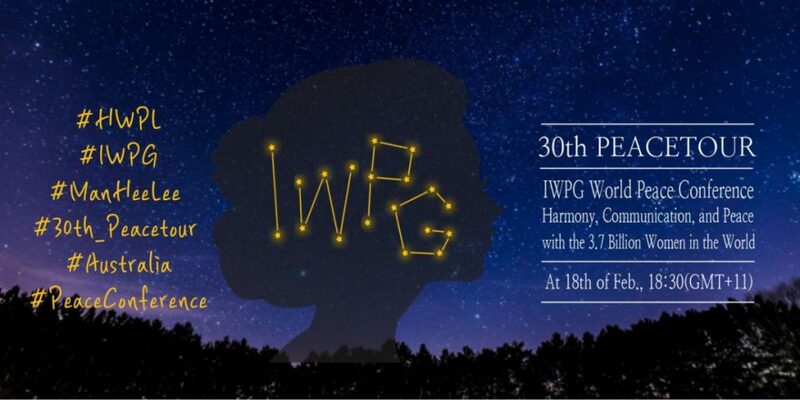 It’s like a dream to meet again.” Among them, women joined the IWPG right there. 3. During the HWPL 14th World Peace Tour, a rabbi met in New York also begged the Peace Mission to take a picture with him, saying he saw the light. And he promised to come to the 918 WARP Summit. 4. 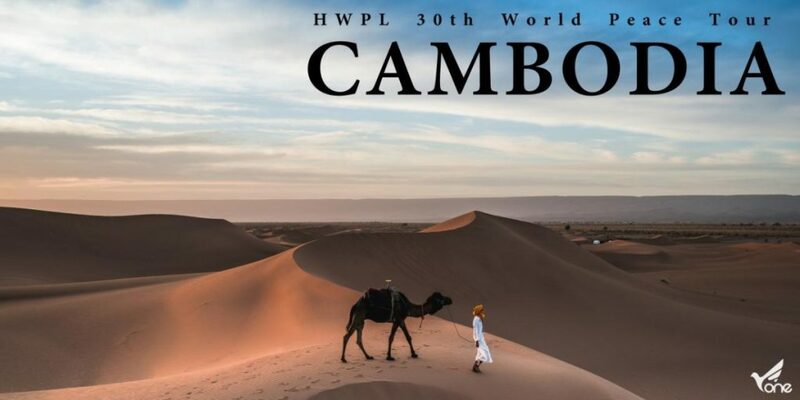 When HWPL went to a former European president’s house on a visit, they saw his wife at home very surprised and asked her why, and she said “There was no human being seen and a large image of light came in” when the Peace Mission entered. This happens frequently during Man Hee Lee’s peace tour. This is another way for the Messenger of Peace to inform the people light of the “God is with him” and to continue the meeting that Heaven has been arranged. 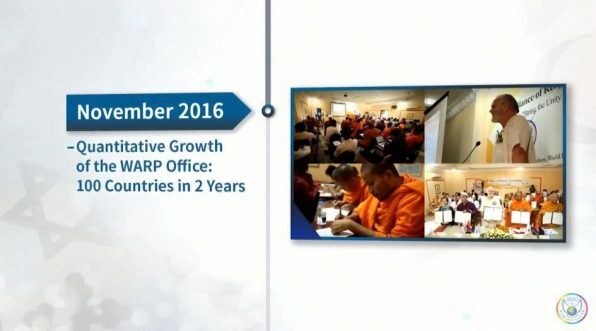 The WARP Office continued its steps to achieve harmony and peace with local religious leaders in the Philippines, Australia and Cambodia. 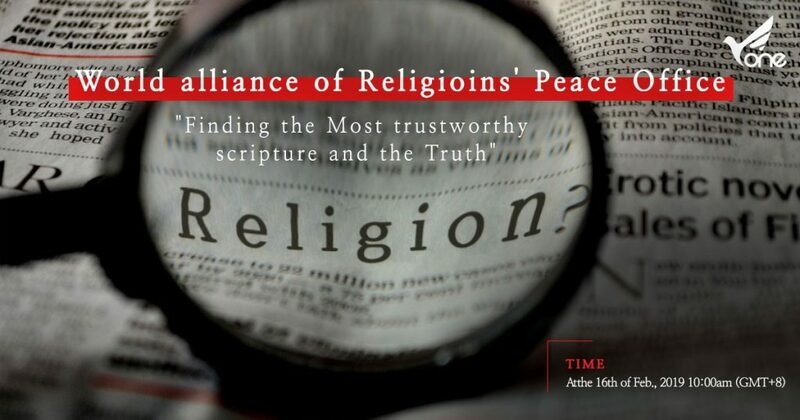 For peace between religions, the WARP Office is now actively engaged in exchanges around scriptures in different countries, and is receiving favorable reviews as it creates an understanding ground for other religions. Recently, they have voiced their opinions on the ban on religious discrimination and the elimination of coercive conversion. Here, I wrote a posting about Cambodia’s history. Cambodia is a country with a lot of pain and suffering. The “Killing Fields” (Khmer: វាលពិឃាត) is where collectively more than a million people were killed and buried by the Khmer Rouge regime, during its rule of the country from 1975 to 1979, immediately after the end of the Cambodian Civil War. He made an impressive speech. Even at many years of age, his desire to devote himself to the peace movement was like Gandhi. Many young people must respect him. He said “As a Supreme Patriarch, on behalf of the Cambodian Council of Religious Affairs, we welcome the visit of the Chairman Man Hee Lee. He is one of the most famous people in the world, who has brought together all the leaders of religion, state, education and law to create cooperation, and to bring peace to this time and to the future. Cambodia is a Southeast Asian country with many wars and sorrows the world has never seen. But on January 7, 1979, the Democratic Kampuchea, Pol Pot‘s government, was collapsed. On 1998, the Prime Minister Hun Sen and the Cambodian People’s Party completely ended the civil war that was taking place in the Cambodian kingdom. So since 1998, Cambodia has had peace, and Cambodia has had many opportunities to develop its economy. Cambodia has never had a religious conflict. 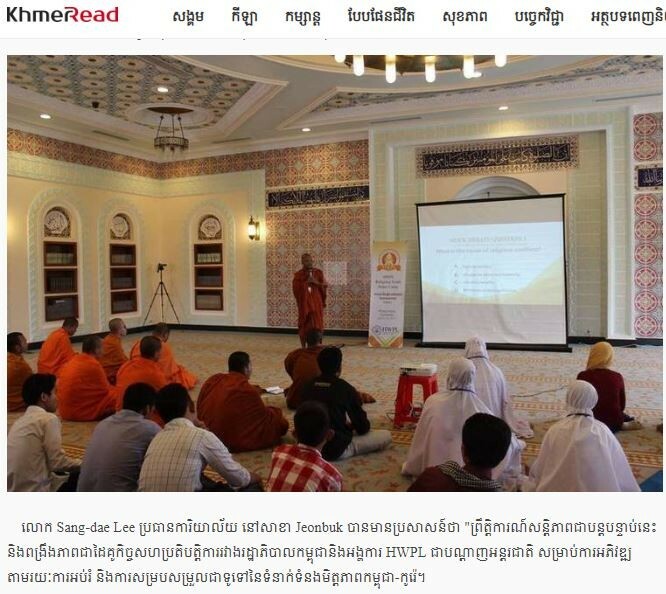 According to Article 43 of the Cambodian Constitution, every Cambodian citizen has the right to follow the religion he or she wants. 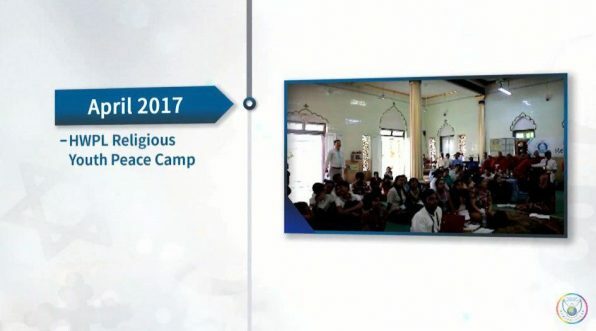 With the support of the government, all religions in the kingdom of Cambodia are holding religious meetings and communicating. 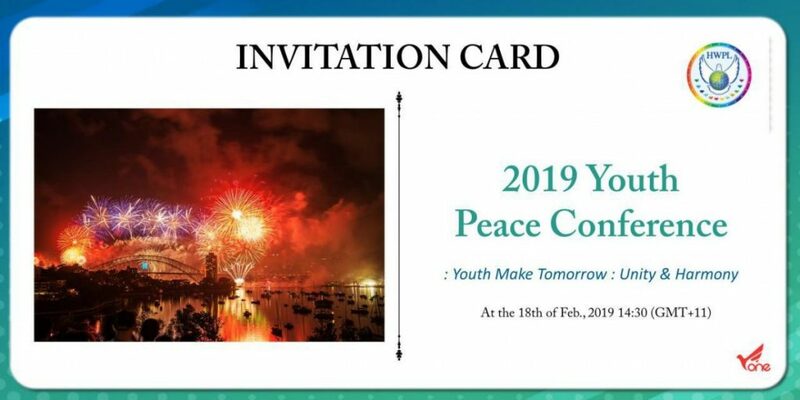 For example, on February 6, 2019, the HWPL Religious Youth Peace Camp was organized in cooperation with IPYG. I have been active in peace with Cambodian people for 40 years since 1979. I am currently engaged in peace activities, and I want to do peace activities in the future as long as my health permits. In order for future generations to live in a time of peace, we must work together to educate future generations to live in peace. Through this cooperation, I hope that we can end war and conflict in this world and that our future generations will live in peace forever. 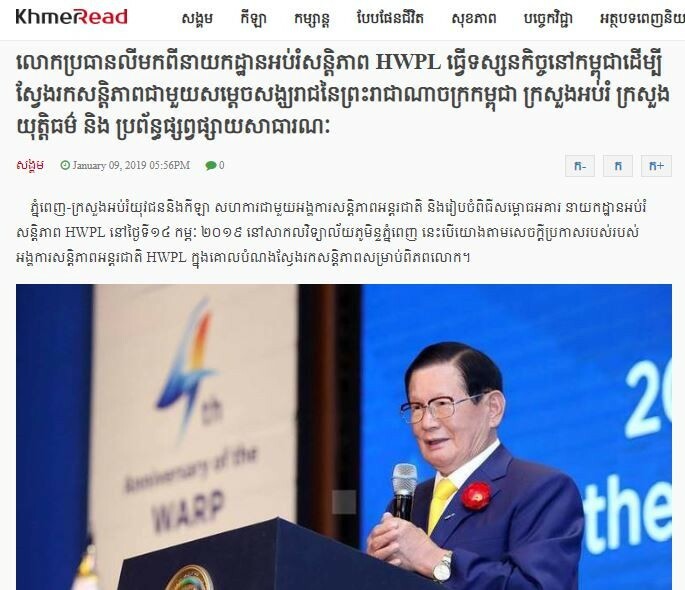 Great Supreme Patriarch Tep Vong has done a lot of peace work in cooperation with the HWPL. His speech will be addressed in the next posting. The Chairman Lee is the messenger of peace with the answer to peace, and he spoke with all his heart. Despite his old age, he is risking his life for peace. That’s why he is supported by 1.6 billion Young people and 3.7 billion Women. 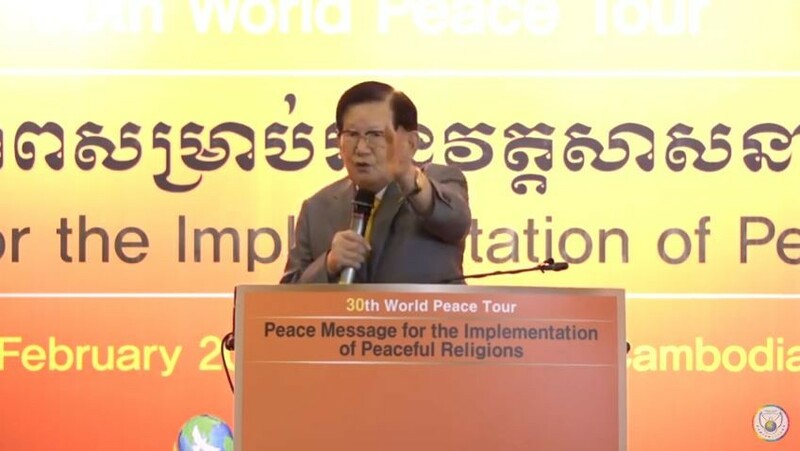 Mr.Man Hee Lee, the chairman of HWPL, and the peace mission spread peace throughout the world with the answer to peace in the eastern country of Korea. 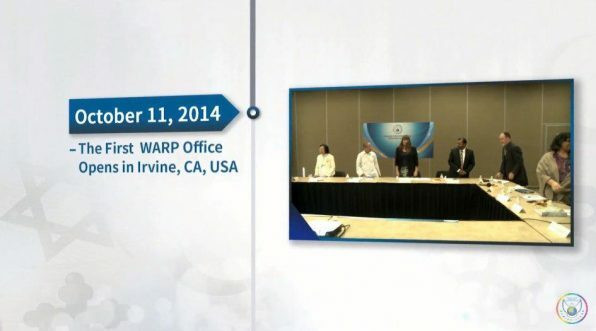 All expenses were covered with HWPL’s money, without anyone’s support. The steps he has taken so far are enough to believe that the Messenger of Peace will end all wars and achieve world peace. The Chairman Man Hee Lee’s journey around the globe is revolutionary and important, but it is too vast to record all of it, so I will only give you a glimpse of the unusual. 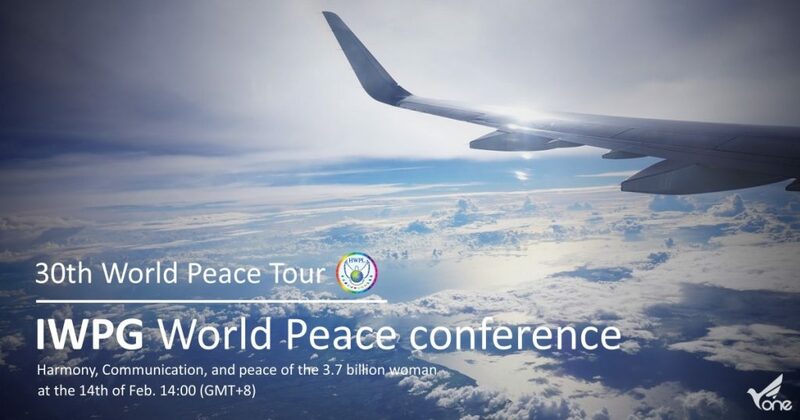 Now, he is now on the HWPL 30th World Peace Tour. The peace mission is heading for Cambodia beyond the Philippines and Australia. Here comes the Messenger of Peace with the Answer of Peace! HWPL is warmly welcomed wherever it goes. 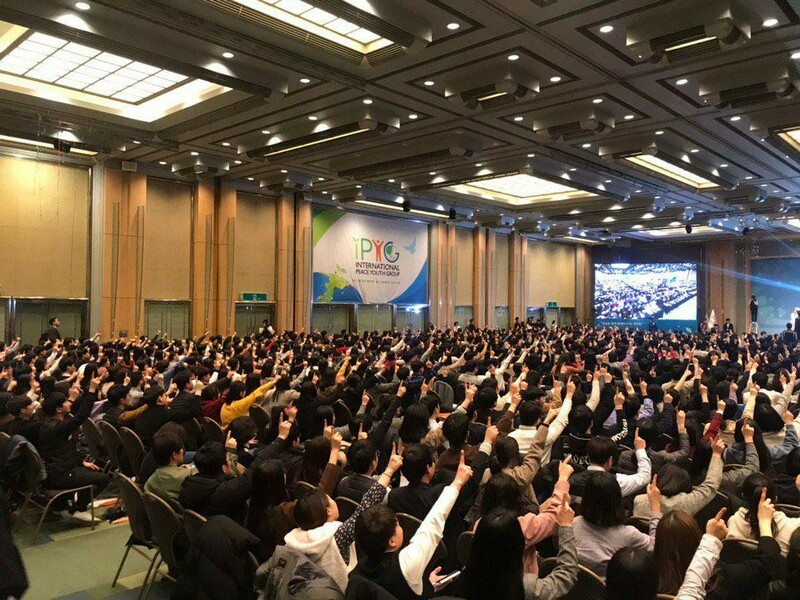 On the day the envoys arrive in each country, the airport is packed with young people and local residents who voluntarily gather after hearing the news of HWPL’s visit. Because everyone in the world is hungry for a dream “Peace” that has never been achieved in the history of the global village. 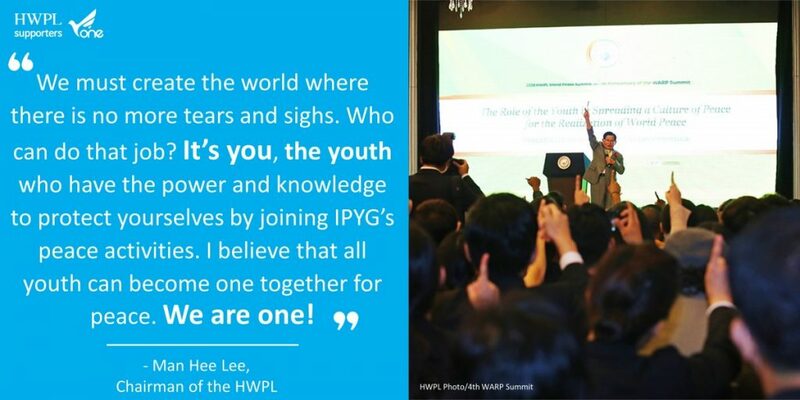 So many young people follow the Chairman Man Hee Lee as the ‘Father of Peace.’ And from the moment when HWPL comes to the moment when if flies to another, governments accord them the treatment of a national guest to show their support for the HWPL’s peace activities. What is the Answer to Peace? DPCW! Only proclaimed three years ago, more than 700,000 citizens from 176 countries signed autographs to support the DPCW. 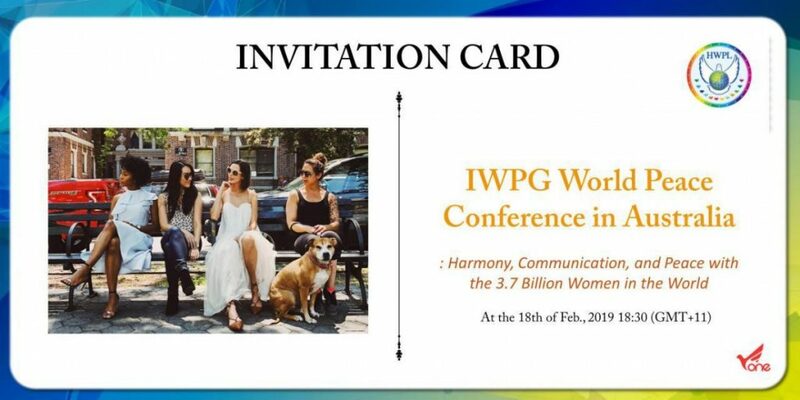 And more than 500 DPCW supporting events were held in more than 74 countries. 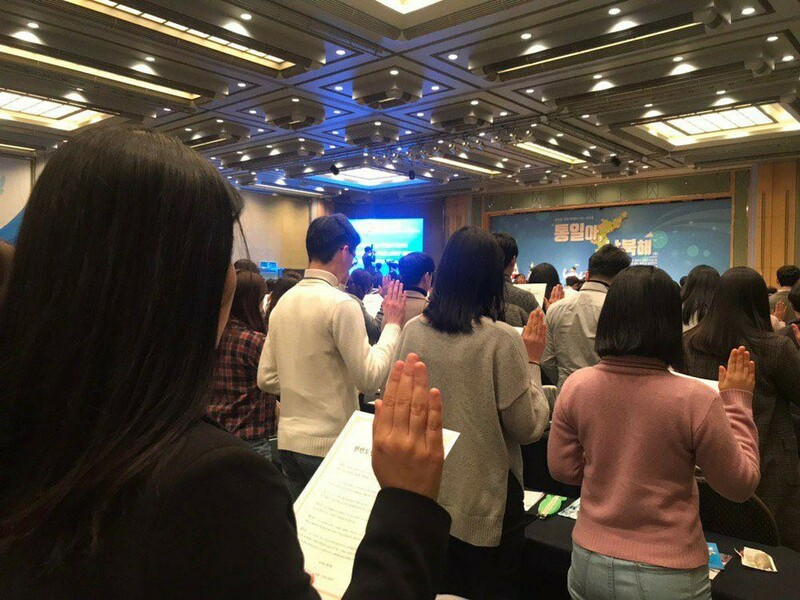 The DPCW, loved by national support and young people around the world, is moving toward a resolution by the United Nations General Assembly. As a developing country, Southeast Asia is now facing a lot of difficulties in joining the developed world. It is essential that peace be achieved for development. Peace enables us to achieve sustainable goals. The 10 Articles and 38 Clauses of the DPCW will actually achieve world peace. If all of leaders of all Southeast Asian countries show their support for the DPCW to the heads of state and officials, world peace will be achieved soon. 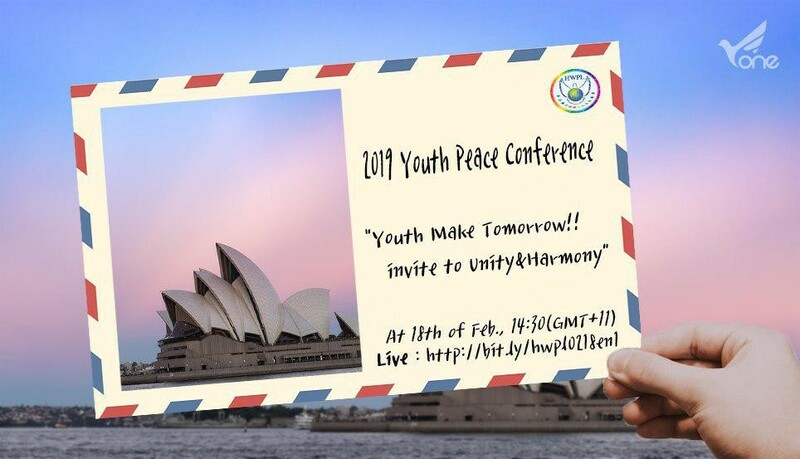 And on March 14, All Youth’ll send handwritten peace letters to leaders around the world to ask you to support the DPCW, We can change not only Southeast Asia but the whole world. Mr. Man Hee Lee, the Chairman of HWPL, strongly said “I’m here today to ask you very strongly. In order for us to live in peace, we believe that all the people of today’s globe must make efforts for peace. I don’t think it’s a matter of waiting for someone to bring it. Wouldn’t it be better to make peace than any power or substance and leave a legacy for future generations? But what has changed? Has peace been achieved? Each day, the war got worse, the conflict got worse, and the global community was threatened. Do you still just watch it? But now it was different. The sky is not just looking at the human race. Give the answer to peace, and make peace. The answer is the 10 Articles and 38 Clauses of the DPCW. I want to ask all the politicians and intellectuals around the world. If anyone thinks this doesn’t end the war, you must said “This cannot end the war because of this problem, so let’s discuss together.” Isn’t it so? If there is an answer to be able to end the war and you are not interested in it, would it be real politics? What are you waiting for? It’s like you’re waiting for a war. I has traveled around the globe a few times. But there was no one who was against peace. And there was no one who liked war. Isn’t that what every family in the world wants? So what do the leaders of each country want? Shouldn’t we do what the people want? All the students and young people in each country will stand up more and more. 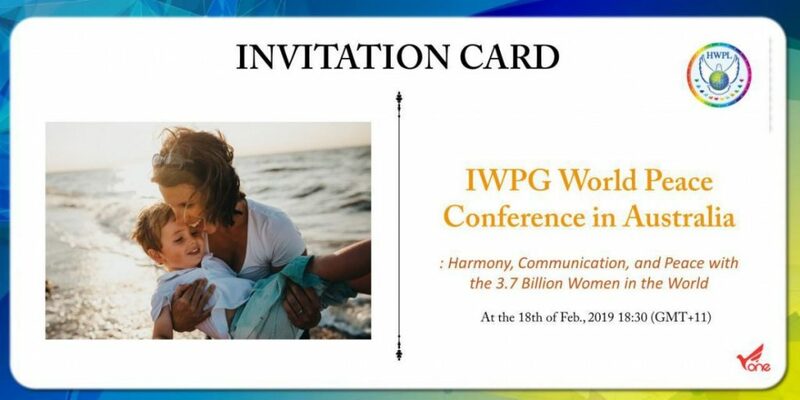 IPYG and IWPG are the two wings of HWPL. 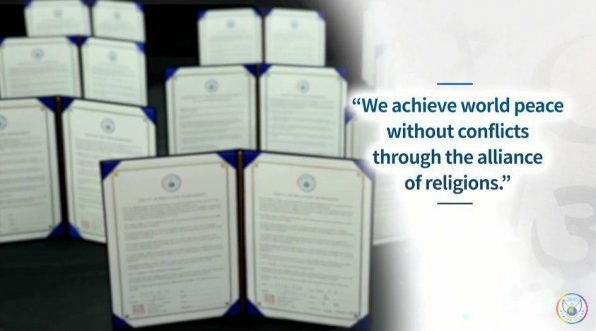 HWPL is the international peace organization, a group of people who love the global community. We have come together in the noble cause of peace. Political leaders signed the agreement to propose the enactment of international law for the cessation of wars and word peace. 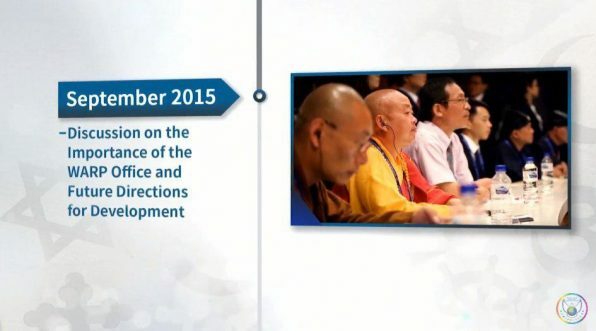 After that, DPCW was enacted and it is to be the icon of solution of peace to prevent conflicts and disputes. And religious leaders signed the world alliance of religions agreement. 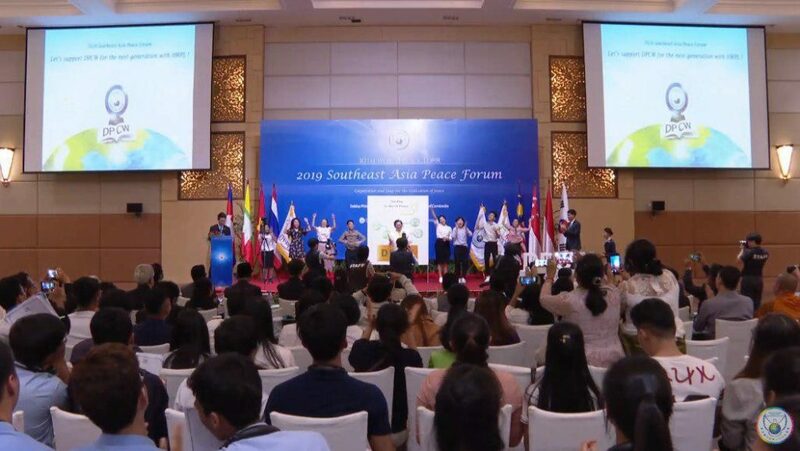 For children, leaders of future, HWPL Peace Education is implemented to know the values of peace. We are leading the future to achieve the common goal of peace. Thus, a new international law has been created that has supplemented the weaknesses of current international law. In 2017, the central american parliament passed a resolution in support of the DPCW. UN permanent representatives of 145 countires recognize the need for the DPCW. In Africa, HWPL and the Pan-African Parliament (PAP) signed MOU. Seychelles, Eswatini, and Comoros expressed support for the DPCW at the NATIONAL LEVEL. Also, HWPL and the International Centre for Black Sea-Baltic Studies and Consensus Practices (Centre BBS) signed MOU. HWPL and the Institute for Advancced Studies in Levant Culture and Civilization (ISACCL) signed MOU. More citizens as well as youth and women’s organizations are showing support for the DPCW to help national leaders implement this declaration and advocate its adoption in the UN. 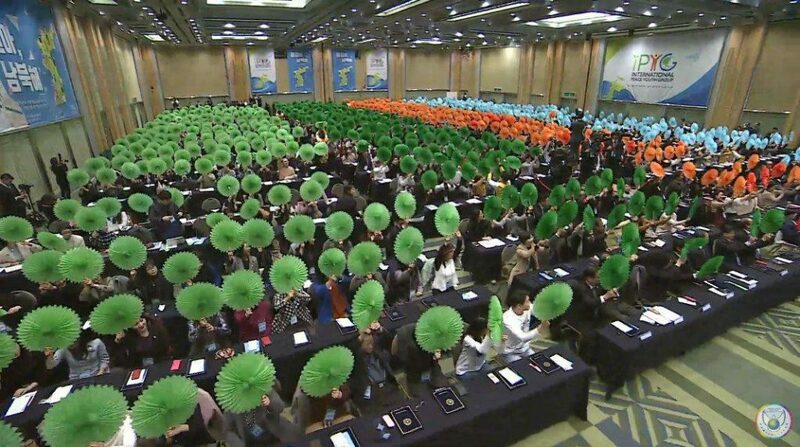 Youth members read the “Peace Letter” to urge national leaders to realize peace through the DPCW and delivered it directly to around 200 leaders from each country that were in attendance. Why Youth? Because we can stop those innocent people, especially youth from losing their lives in the futility of war. Who can compensate for one’s life? We don’t want to die. We want to love. We want to sing and dance. Our future is not expendable. If we continue to be victims of war, the pain will not be able to be healed in any way. Obviously, the role of world leaders is a great part to the implementation of the DPCW. However, it is the youth’s role to urge leaders. Youth have the power to move their leaders’ minds. 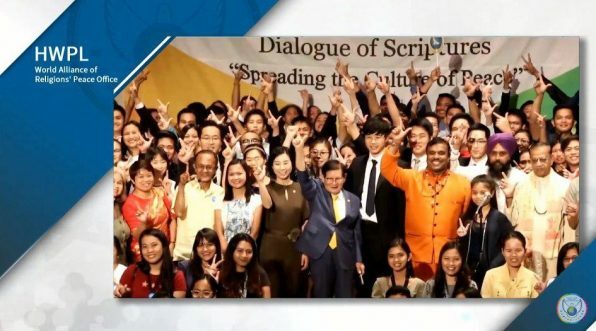 Chairman Lee of HWPL is running with the answer to peace from above. If the answer to world peace is DPCW, 10 Articles and 38 Clauses, the answer to the peace movement of youth is the peace letter. I hope that the youth in this place will also urge their leaders to become peace messengers so that the DPCW can be implemented and developed into a legally binding document. 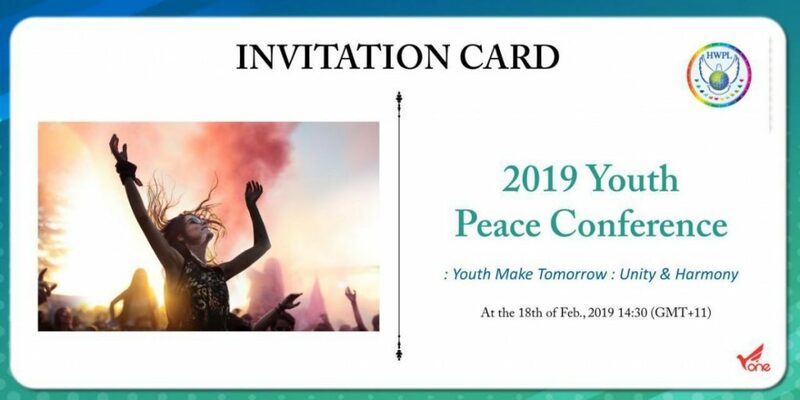 On the 18th of Feb, 2019, the “2019 Youth Peace Conference” recalled the role and influence of young people in the world peace and the power of Unity and Harmony, highlighting that each youth should become messenger of peace. Writing and delivering the Peace Letter activities have reached even to the heads of each state. Youth participants are anticipating it to further advance advocacy activities of young people. A single individual is weak. But if all the youth of the world unite as one, no one would be able to break them apart. I saw joy and our future in their faces. 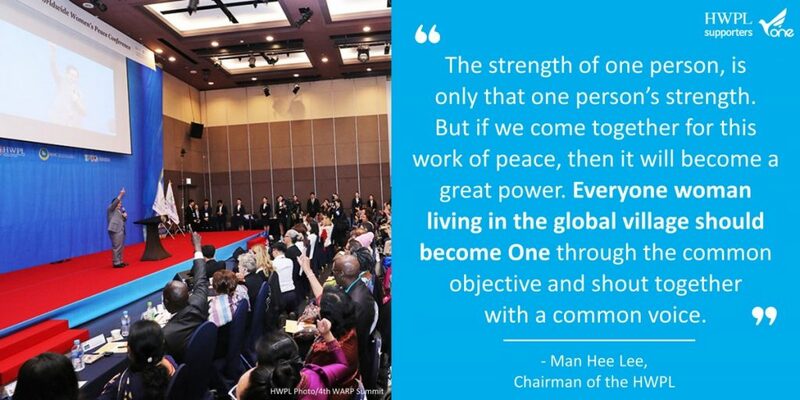 The Chairman Man Hee Lee strongly emphasized “We want peace, no matter who we are. While traveling around the globe for a long time, meeting many people, everyone wanted peace. So peace must be achieved. It will be recorded in the eternal history of future generations. Let’s join in this work of peace and become the messengers of peace. Young people will no longer be victims of war, but protect themselves, and women will also protect children. When we all have one heart, peace will be achieved. Let’s all be the messengers of peace. I wanted to make this request to you, all Youth. Write a letter to the president of your country and the president of another country and send him a message to make the world a peaceful place together. All men are supposed to be admitted because they have the same mind. If everyone admits it, peace will come to this land. During the 29th world peace tour, all the lawmakers in Africa supported it. The same was true of Europe. Every place wants peace. In times like this, let’s make peace by writing handwritten letters. Heaven will also help all the people of this land. 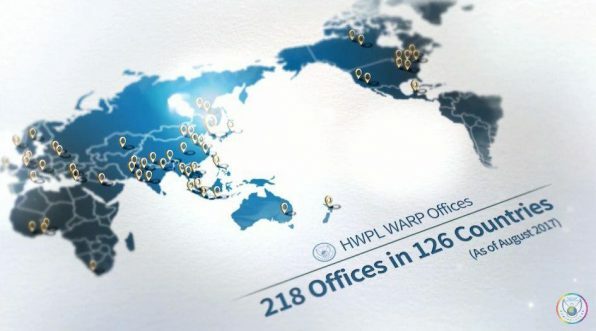 Why do we need for Spreading the WARP Office? 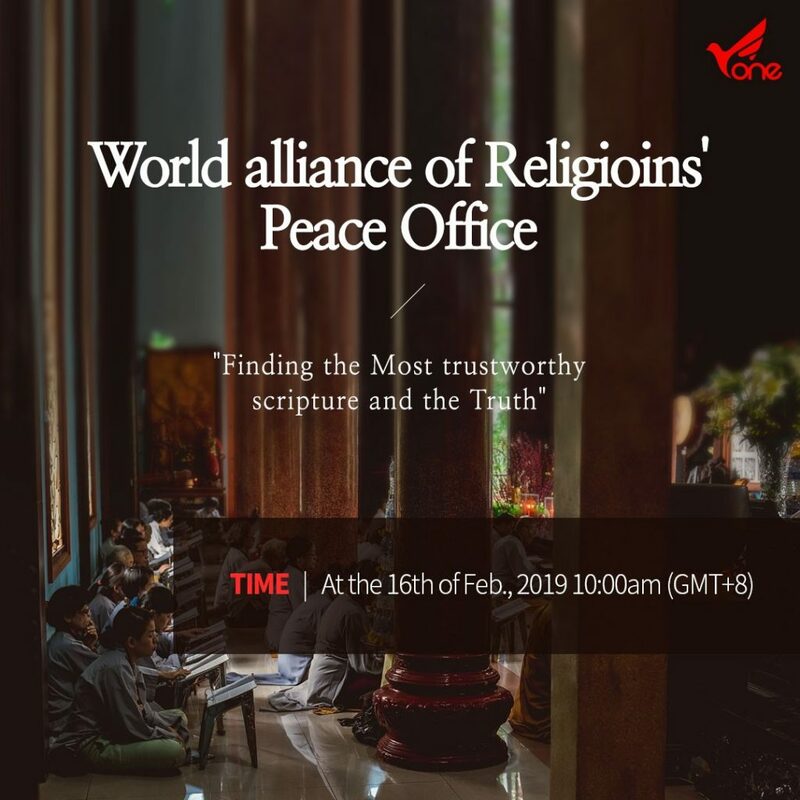 HWPL’s interfaith peace communication solely promotes the alliance of religions through discussions based on scriptures to prevent conflicts caused by misunderstandings. 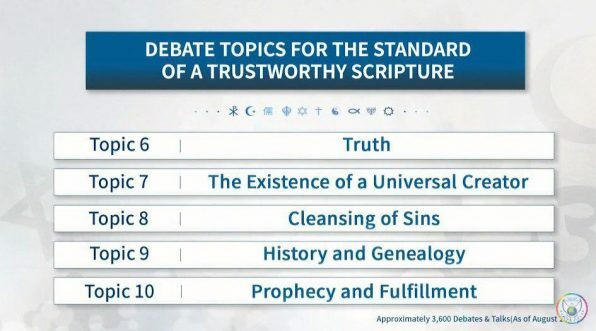 The WARP Office sets an example for discussions on the search for a trustworthy scripture for the realization of religious peace in the world. 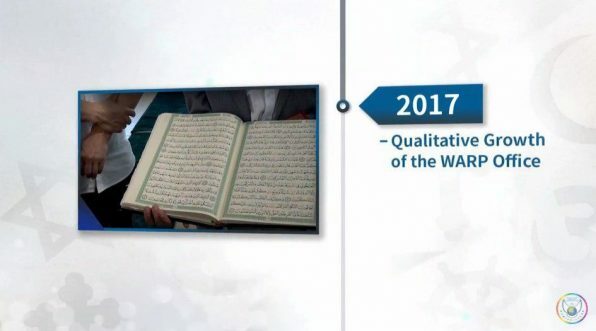 Outstanding participants consisted of Religious leaders from around the world held scripture comparison meetings and affirmed the solidarity in peace, and engaged in the session with greater interests and responsibility. 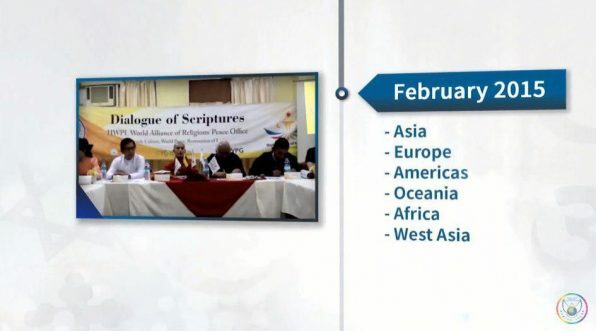 This meeting was also broadcasted live online to encourage greater participation and enlightenment from the religious leaders who are active participants at the scripture comparison meetings. 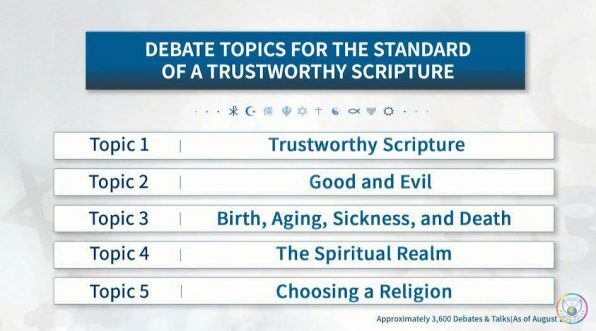 Why we need for spreading WARP Office and creating the culture of searching a trustworthy scripture? 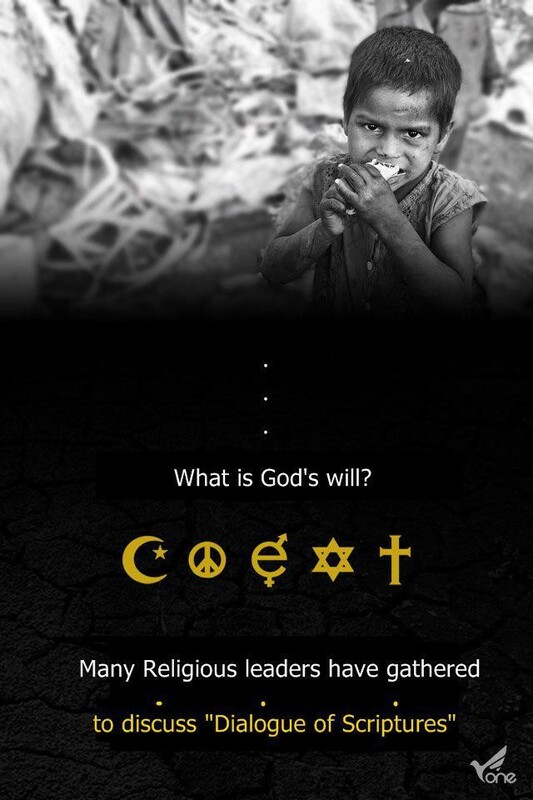 Why do we deal with Religions? Because Religion is responsible for 80 percent of the world’s wars. For more information, please read the postings below. 918 world peace WARP Summit : What Wars are Going on Now? not easy to work for peace. But even in his old age, Mr.Man Hee Lee, chairman of HWPL, is risking his life for peace. 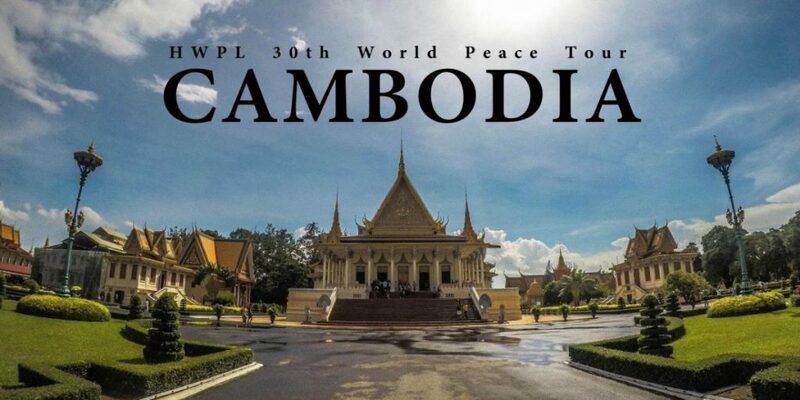 On this HWPL 30 30th World Peace Tour, he is working on a tight schedule and shouting peace for every second. Why does he work like this? This is because of his promise with politicians and religious leaders in 2014. They swore before heaven and before all the people of the world. At the WARP Summit, the world’s political leaders recognized the need for an international legal instrument that ensures peace and they promised to cooperate. Religious leaders also promised to become one according to the teachings of God and contribute to peace. As a token of their promise, they signed the Agreement to Propose the Enactment of International Law for the Cessation of Wars and World Peace and the World Alliance of Religions Agreement. So DPCW, sophisticated international new law aligned with UN Charter and SDGs, was declared on March 14, 2015. 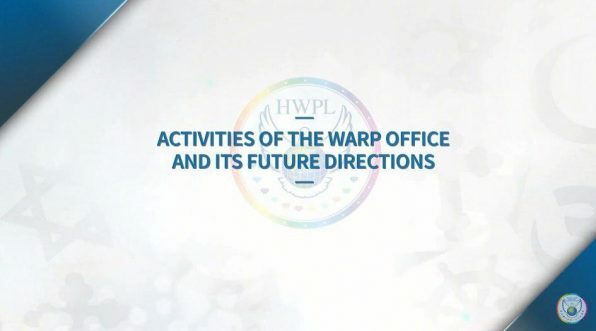 (If you want to know more about DPCW) And according to agreement, the WARP Office was established. 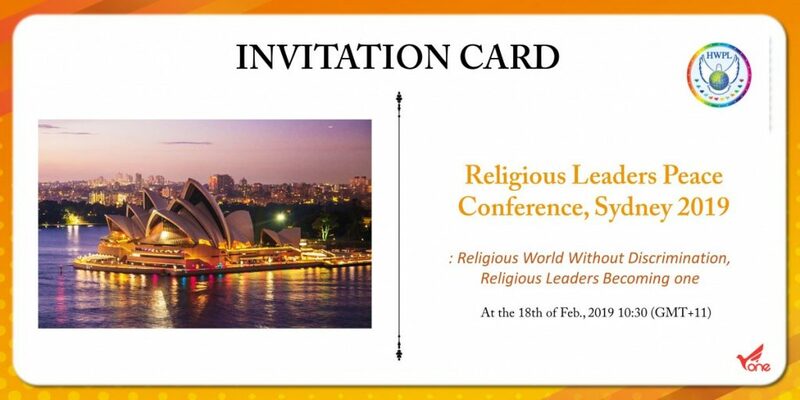 It is the dedication of world’s top religious leaders. As a citizen who loves peace, I really appreciate their efforts. On 16th, HWPL which is the world’s largest organization held World Alliance of Religions’ Peace Office(under as WARP Office) at Estancia Resort hotel in Philippine. 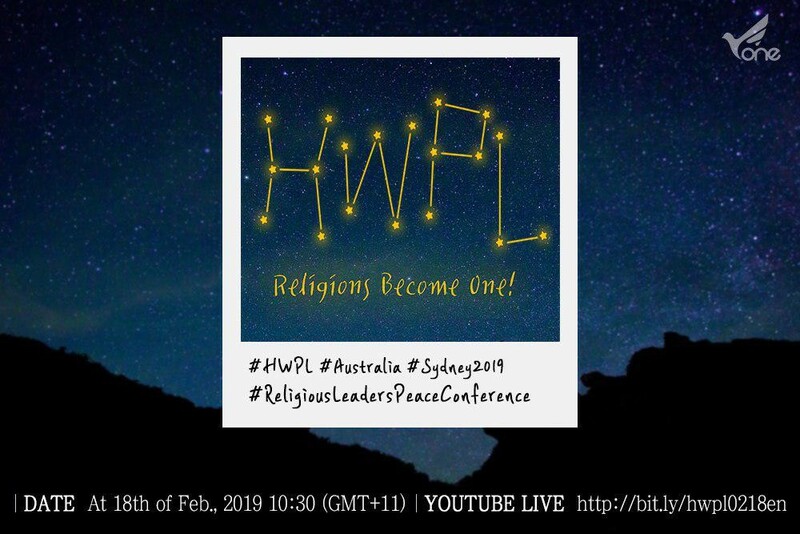 Through 30th World Peace Tour, HWPL have gathered the religious leaders with hopes of peace to discuss the topic; Finding the Most trustworthy scripture and the Truth. The representative religious leaders of Isam, Hinduism, Christanity in Philippine and 150 religions attended at WARP Office. 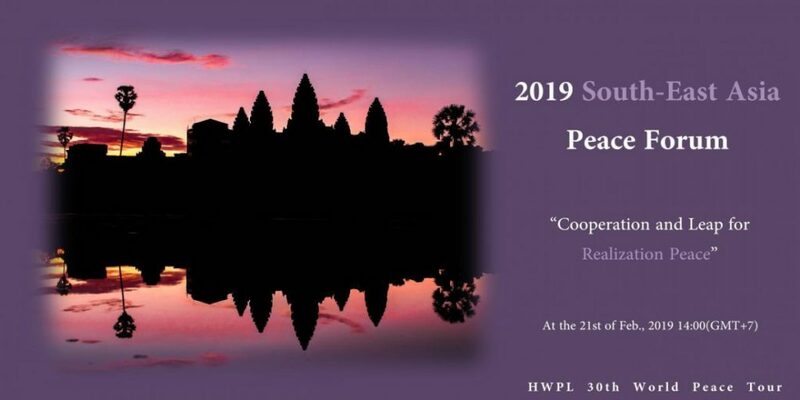 Why HWPL 30th World Peace Tour? Why do you think peace is necessary? What does peace mean to you? Is the current world peaceful? This is likely to vary depending on the country you live in and what you see and hear. But there are people who risk their lives for peace. I can’t figure out how many rounds they’ve traveled around the globe at their own expense. It is the HWPL Peacebuilding Story, a peace organization recognized by prominent people around the world. Former and incumbent presidents, Supreme Court chiefs, group leaders and journalists are joining the HWPL and spreading the culture of peace around the world. This is also possible with the presence of HWPL chairman, Mr. Man Hee Lee. People asked “Why are you risking your life for a peace movement?” It is related to his biography. He was a Korean War veteran. So, he knows better than anyone the pain of war and the suffering of countless children in the country. He knows the pain of war and the suffering of countless children in the country better than anyone. This is why he is supported by 1.6 billion young people and 3.7 billion women. 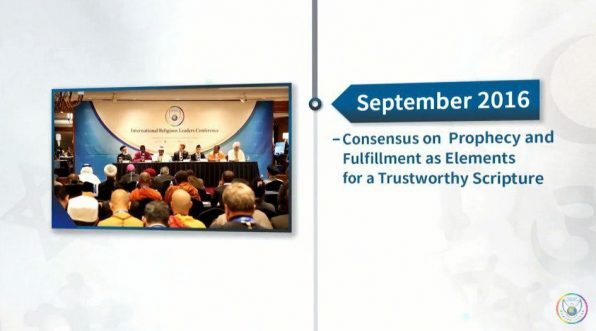 So far, the HWPL’s movement is more substantial and powerful than any other peace organization. Check out the official site and other postings. Human beings have the right to be happy, and they are born to be happy. But the global village is hurting each other with disputes, conflicts, and wars, and human rights and life are being threatened. Every woman has a spirit of service of mother and sacrifice to create a world of happiness for all families. Women around the world become one of the many lives that are sacrificed in the war, especially those who are hyisaengdang at the forefront of the battlefield, to keep their children out of the ‘ end of war ‘ movement and to create a peaceful global village. I would like to instill a sense of “peace” for people around the world, and work with women leaders and international women groups worldwide to practice a warm “mother’s Love” where peace is needed. Cambodia is located in Southeast Asia, bordering Laos, Thailand, and Vietnam. Cambodia is famous for the Angkor Wat temple, that have built for Hindu religion during Khmer Empire. 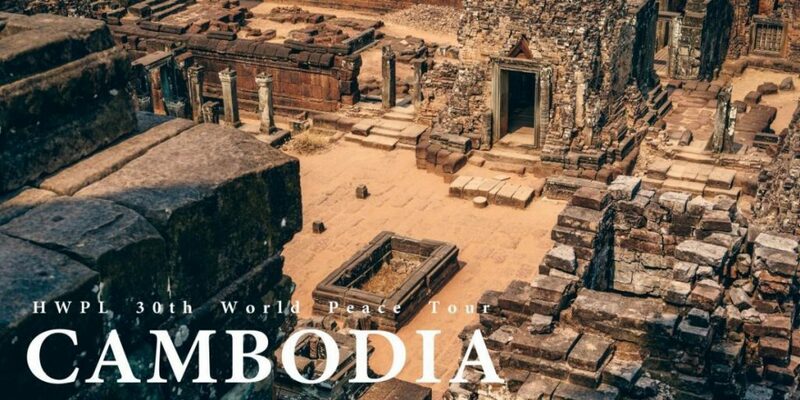 (officially the Angkor Empire) Now, the temple is part of Angkor World Heritage Site and is considered one of the Seven Wonders of the world. At its peak, the Khmer empire (802-1431) covered much of what today is Cambodia, Thailand, Laos, and southern Vietnam. However, there was a great tragedy in this flourishing culture. The Cambodian Killing Fields (Khmer: វាលពិឃាត) are a number of sites in Cambodia where collectively more than a million people were killed and buried by the Khmer Rouge regime, during its rule of the country from 1975 to 1979, immediately after the end of the Cambodian Civil War. The killing fields document death. 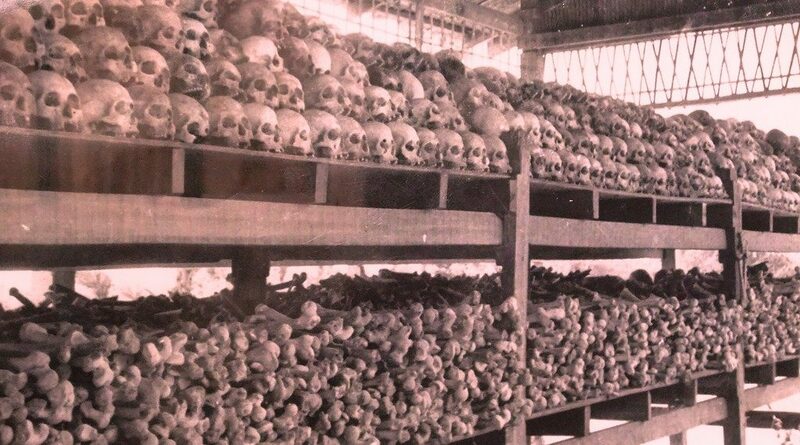 From 1975 to 1979, Pol Pot and his Khmer Rouge soldiers killed 1.7 million Cambodians, or 21 percent of the population, according to Yale University’s Cambodia Genocide Program. 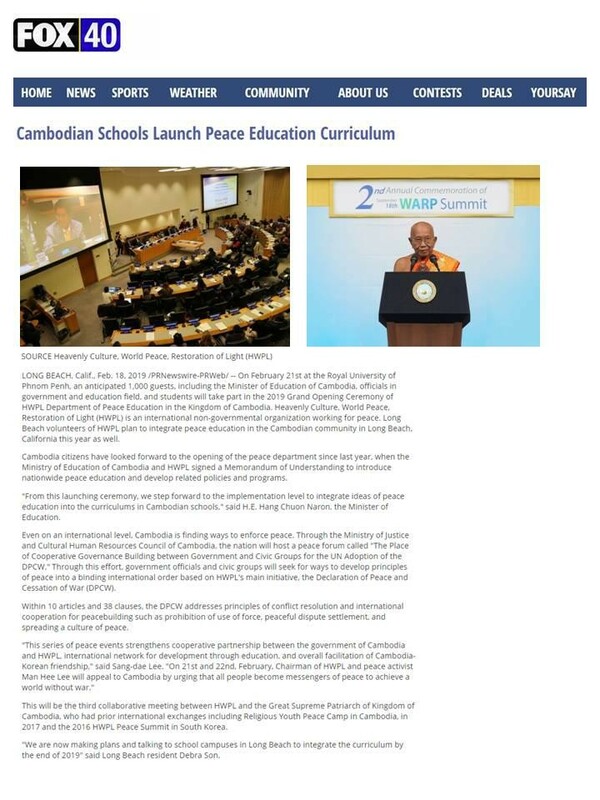 Maybe, it is the reason why the Ministry of Education, Youth and Sport (MoEYS) signed a MoU with HWPL to introduce Peace education nationwide and develop relevant policies and programs. How did Cambodian Genocide end? The Fall of the Republic of Democratic Kampuchea. On December 25, 1978, Vietnam launched a full-scale invasion of Cambodia and on January 7, 1979, Phnom Penh fell and Pol Pot was deposed. What was the purpose of the Cambodian Genocide? Ideology. Ideology played an important role in the genocide. Pol Pot and the Khmer Rouge aimed to bring Cambodia back to its “mythic past” of the Powerful Khmer Empire, to stop corrupting influences like foreign aid and western culture, and to restore the country to an agrarian society. Ideology can be solved through education. 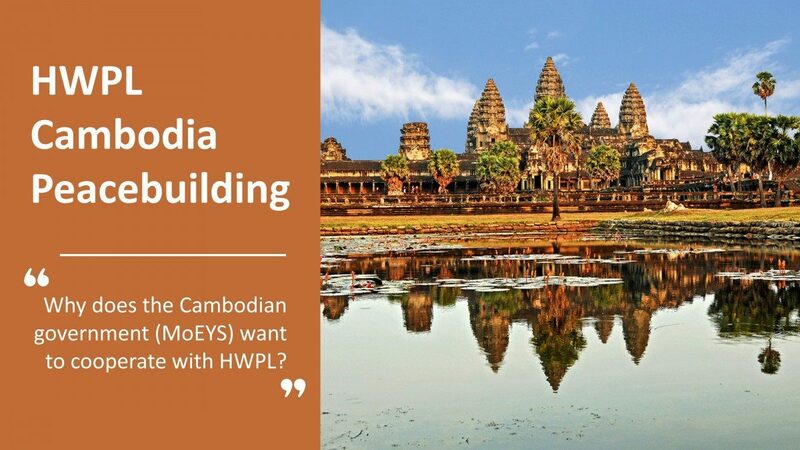 It is the reason why Cambodia wants to cooperate with HWPL. As a result, 164 schools in 12 countries have signed MOUs with HWPL. 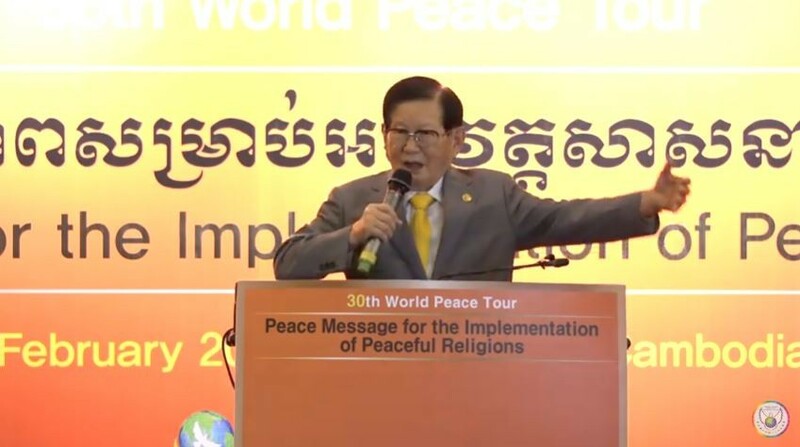 Particularly, Mr.Man Hee Lee, the Chairman of HWPL, a peace activist, came to Cambodia to seek peace with the bishops of the Kingdom of Cambodia, the Ministry of Education, the Ministry of Justice and the state-run broadcasting station, and called on all people to become peace messengers for world peace. HWPL is currently moving forward with a worldwide influence to bring DPCW, a new international law, to the United Nations. 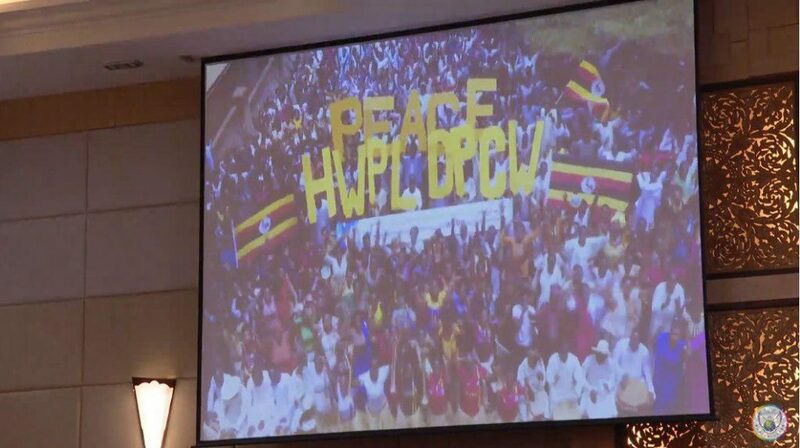 DPCW is a definte answer to peace that can end the war. Created by 21 international law experts, it is recognized not only sophisticated, but also it is aligned with UN Charter and SDGs. The news of peace will continue to be heard. 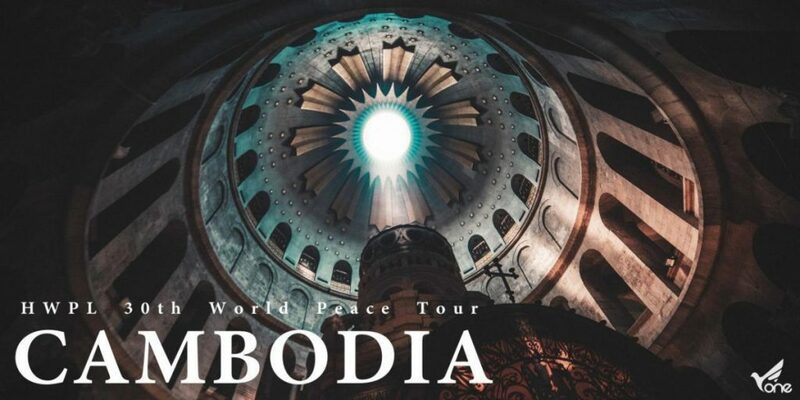 🙂 I’m really looking forward to the 30th world peace tour. Because the 29th world peace tour has achieved tremendous results. You can see other postings. The United States and North Korea will hold further talks next week to prepare for a second summit between President Donald Trump and Kim Jong Un later this month, Seoul said Sunday (Feb 10). “North Korea and the US have agreed to continue negotiations in a third country in Asia during the week of Feb 17,” South Korean presidential spokesman Kim Eui-kyeom told reporters. Mr Trump and Mr Kim are due to meet in Hanoi, Vietnam, on Feb 27 and 28, following their landmark first summit in Singapore last June. The US-North Korea talks is expected to provide an important turning point for economic and security on the Korean peninsula. As the dialogue of inter-Korea continued since 2018, the issue of peace and unification is attracting international attention. 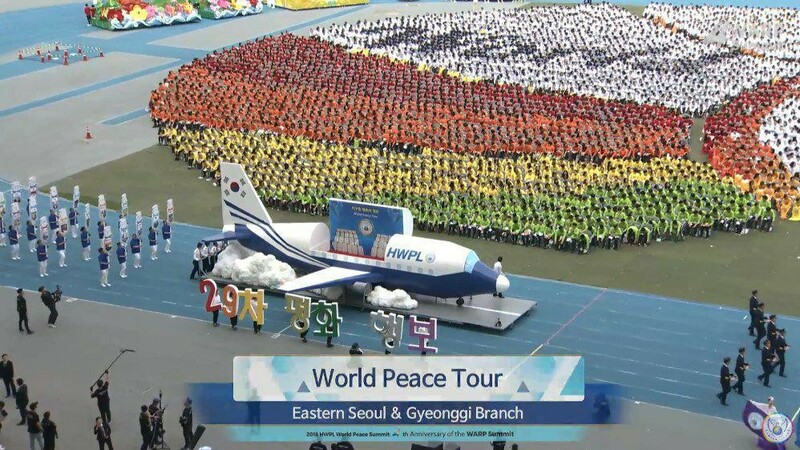 So, peace-loving 1,000 Korean youths gathered for the unification of the two Koreas. The event is held under the theme of “Youth pictures the peaceful future for the Korean peninsula”. 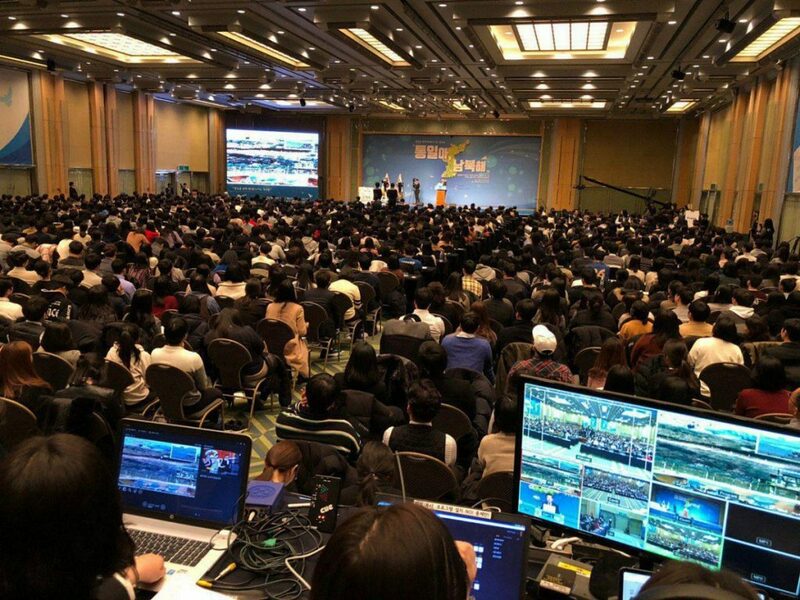 In search of the role of civil society to create a unified Korea with peaceful means, “North And South, Let’s Be “Us” Again” was held with 1,000 participants at the Grand Hilton Hotel in Seoul, South Korea on February 9th. Why do 1.6 billion young people support the IPYG? 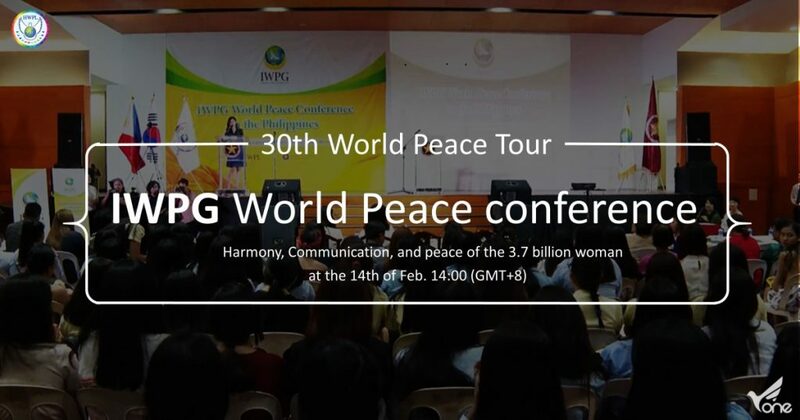 The host organization, International Peace Youth Group (IPYG), is a member organization of HWPL, an international peace NGO under the UN ECOSOC. 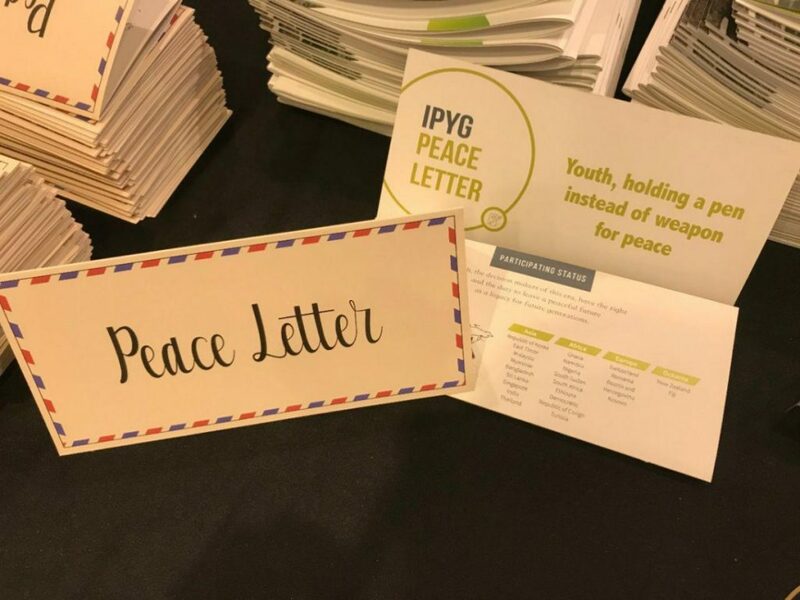 IPYG initiated its peace activities with the aim of realizing world peace by the voice of youth themselves, the victims of the war, and has been carrying out various peace campaign around the world in cooperation with 851 youth organizations in 111 countries. 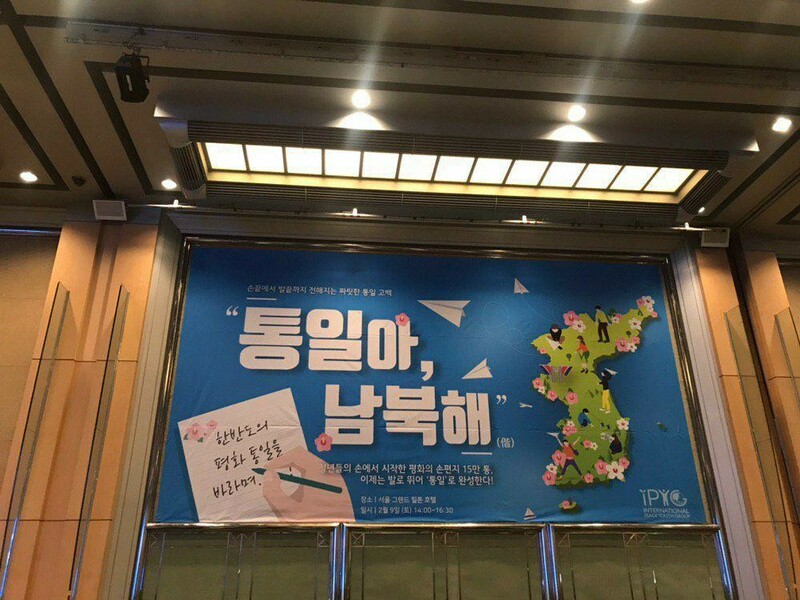 Regarding this youth campaign, IPYG explains that the youth of the Korean peninsula will voice to solve the problem of division and unification because the war threats on the Korean peninsula, which has been continuing since the division, can no longer be overlooked. In particular, the young man is the most persuasive messenger of peace. Because the people who go to war are politicians? Who is it? That’s because they’re themselves. Who in the world will pay for that life? Do you think money can pay for it? Nope. Is the War far from us? You’ll understand by looking at the posting below. 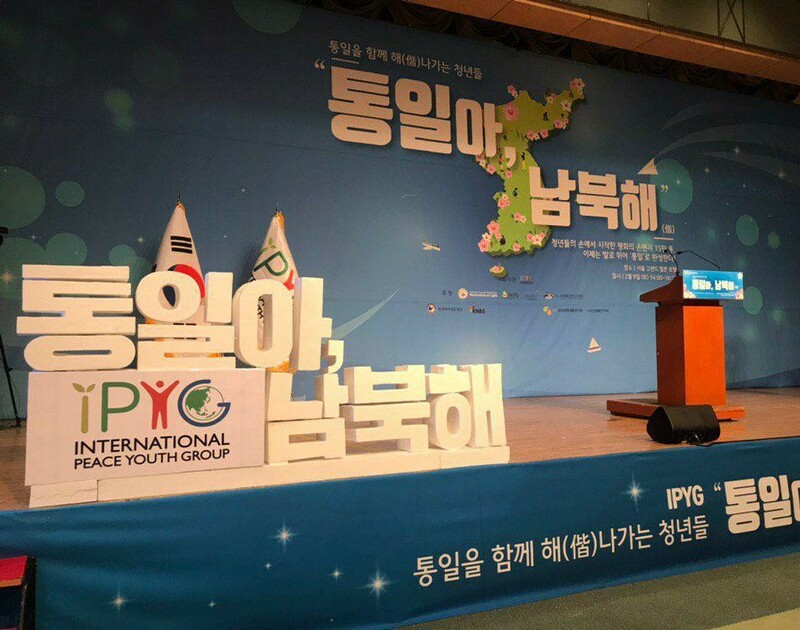 How can IPYG exert global influence? This is a youth-led campaign where the youth gather to advance ideas into practical action plans, and further nationwide reunification movement by collaborating with the civil societies. 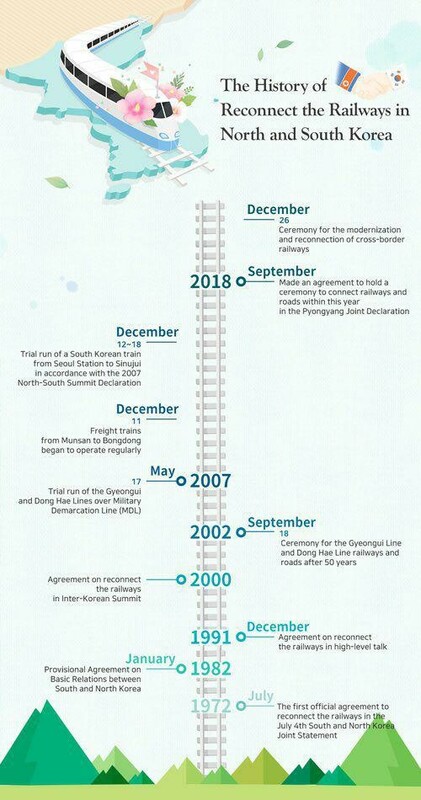 Starting with the inauguration ceremony on February 9th, it will be continued for 4 weeks with 2 commemorative events and the reunification campaign across the country.